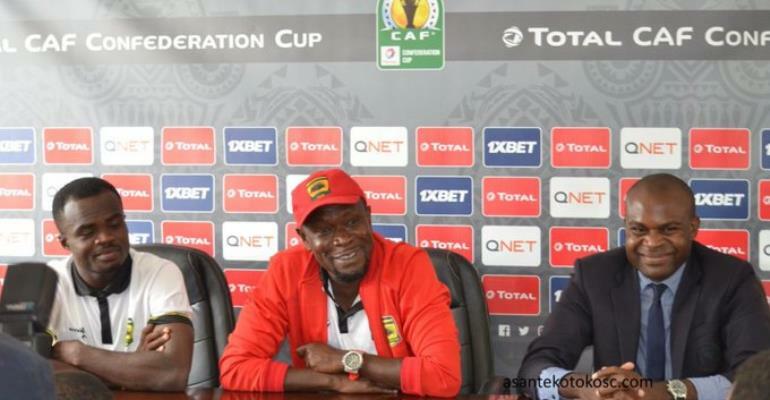 Kotoko coach, Charles Akonnor has insisted that his side is heading into the match for the three points and nothing else. Nkana FC of Zambia will host the Porcupine Warriors on matchday three of Group C at the Nkana Sports Stadium in Kitwe in the ongoing CAF Confederations Cup. A positive result in this away game will enhance Kotoko's chances of progressing out of the group if they are able to win all their home games. During the team's pre-match conference, the former Black Stars trainer claimed that getting at least a point off their opponents could increase their chances of qualifying from the group hence they will be going into the game with all guns blazing. "We are here for serious business because we know that we have to get something away if we want to go to the next level," says C.K Akonnor.